BHS member David Craig, was responsible for creation, photo-restoration and design of the wrap. Dee Signs of Aldershot did the printing and install. Your BHS’s newest initiative is a bit of history on the street. 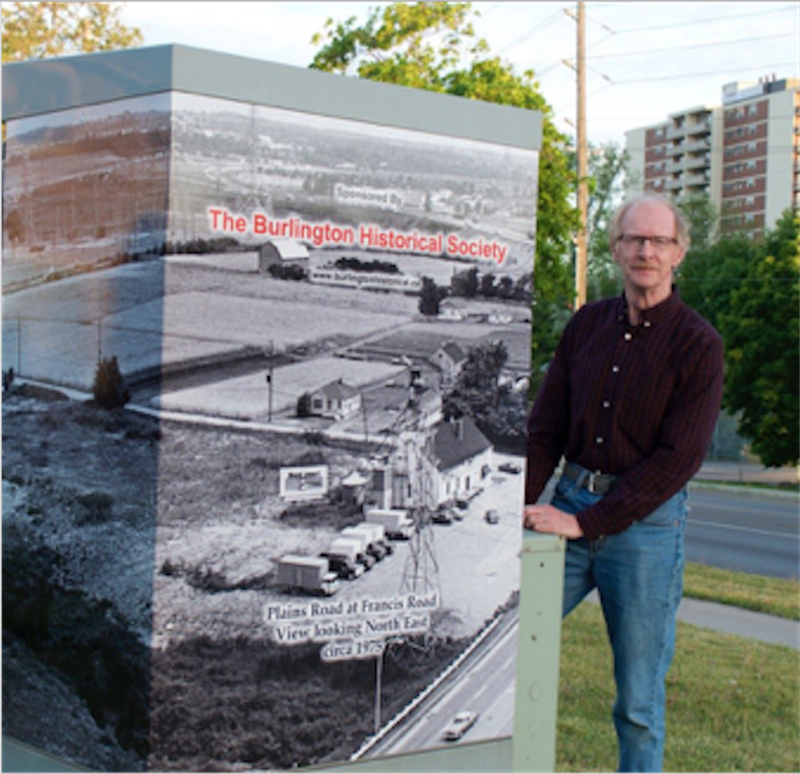 In a continuing series of history photos in Aldershot, the BHS has sponsored a photo wrapped on a traffic signal box at Plains and Francis Road. Drive by have look or stop and stroll. Look for others at Plains and King, Shadeland and Downsview.